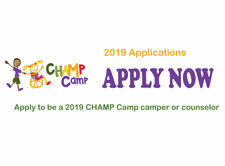 "… a place of discovery, growth and independence…"
CHAMP Camp provides a summer camp experience for children and adolescents with tracheostomies and those who require technological respiratory assistance. Our campers enjoy and fully participate in outdoor summer camp activities including swimming, canoeing, climbing and zip lining to encourage independence, confidence, and self-esteem and create memories that last a lifetime. The 2019 Silver Sneaker Benefit Ball is on April 27 at the Conrad Indianapolis and is fast approaching. Click below to reserve your tickets before they sell out! We take safety seriously at CHAMP Camp so our campers can have fun and return home with only fun memories. 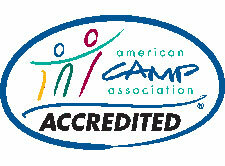 See why we are ACA accredited below. CHAMP Camp 2019 is quickly approaching and will be out of this world! Click the link below to apply as a camper or a counselor! CHAMP Camp 2019 dates have been announced along with the new logo! Mark your calendars for June 16-20 for a camp that's "Out of this World."